In November 2016 Johnson County voters approved a 10-year, quarter-cent sales tax increase to help fund the new courthouse, plus a $21 million medical examiner’s office. March 22, schematic design renderings of the new county courthouse were presented to the Board of County Commissioners. The designs were shown during a committee of the whole presentation. Commissioners were updated on the project’s goals, design process, site and building design, construction timeline, budget and next steps. The seven-story courthouse will be approximately 320,000 square feet with 28 courtrooms, expandable to 36 courtrooms in the future. Historic homes north of the site were torn down to serve as a public lot with 215 public spaces. 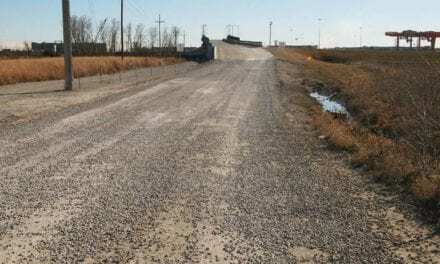 No clear plan to pave portions of Waverly Rd.